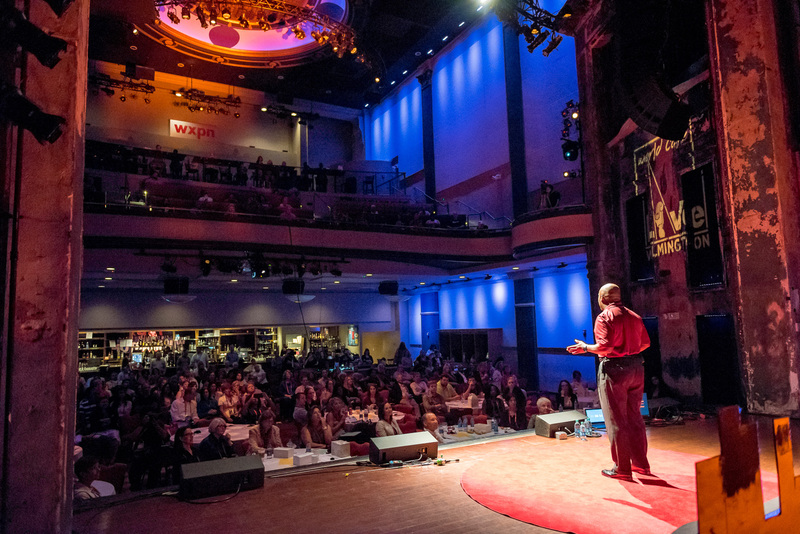 Click TED Talk Image to read article from “Welcome Home SA”! 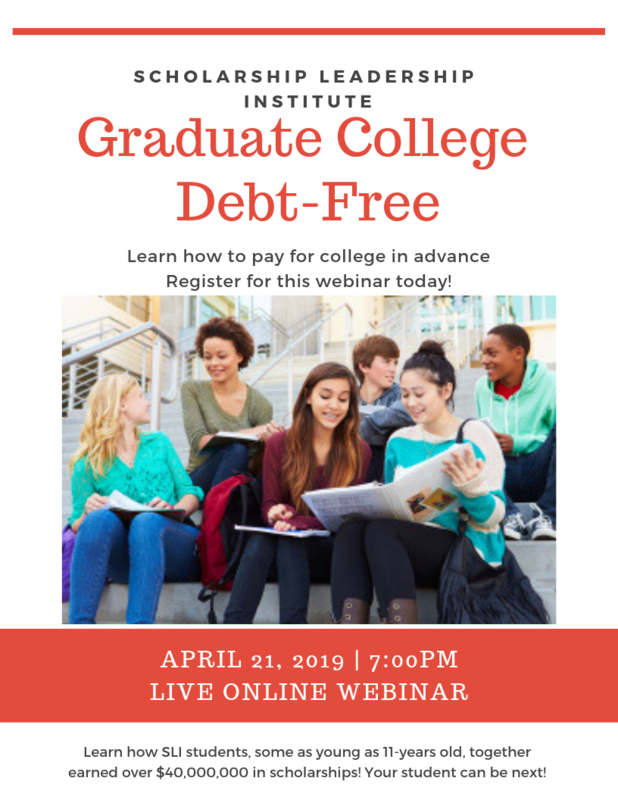 Webinar/Seminar Outcome: Parents/Teens FROM ALL OVER AMERICA in the comfort of your own home will learn in person what is necessary to help students earn enough money to graduate college with little to no debt! We will be making unprecedented offers that we have NEVER made before. 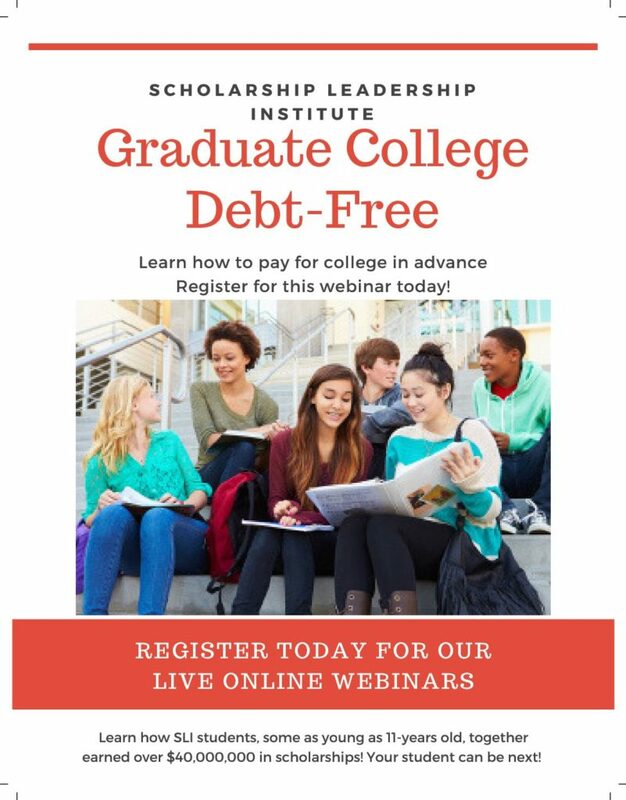 Make sure you ATTEND our next webinar for a chance to take advantage of our free scholarship membership page or our paid membership site! Don’t miss this money-saving webinar and share it with a friend! 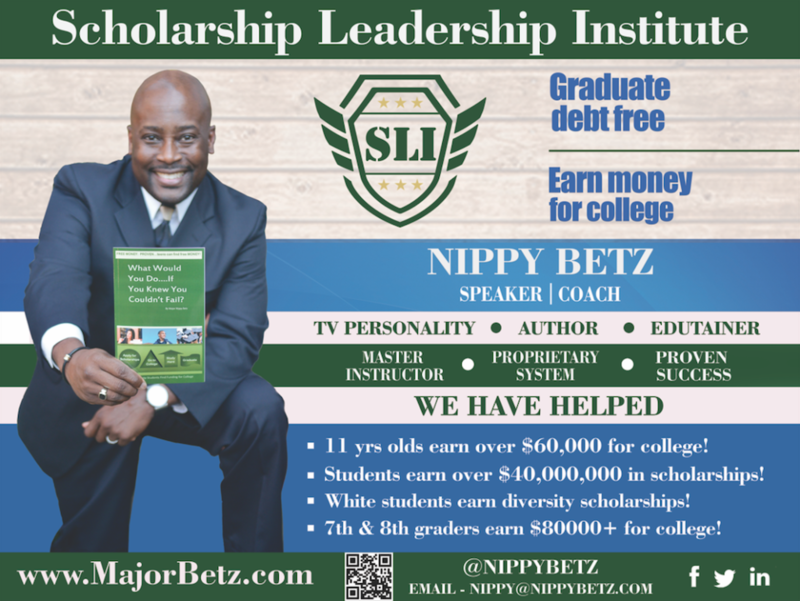 Let us know if you want Major Betz to do a meeting in your home, church, business, youth group, AAU team, City, etc. Click the next video to learn the magic of Major Betz’ seminars/ webinars! Don’t see me coming to your city? Just ask me to visit live or via a webinar! It’s that simple! Don’t be too late! Click the Girl in the purple shirt for info about what you can do today to win $$$! Register your students today into one of our FREE Scholarship Groups for students looking to get into and pay for college. This group is managed by Major Betz as he prepares Middle School, High School, College, and Junior ROTC Students for life after college while helping them to graduate debt-free! Click here to learn more in a short video or click the image below! Simply request access and begin your journey today! Click here and select G. Type Facebook in the comment section. Bootcamp Outcome: Parents/Teens can bring laptops and questions to learn what is necessary to help students earn enough money to graduate college with little to no debt! Bootcamp attendees will also get to participate in a live online 2-hr follow-up session to ensure your students don’t lose their enthusiasm after the live event! You will learn all the magic Major Betz uses with his 1-on-1 clients! Don’t see me coming to your city? Just ask me to come live or via a webinar! It’s that simple! We have an incredible calendar of Events coming THIS YEAR for 7th graders thru college students! So stay tuned by visiting us weekly to see what’s next AND DON’T MISS OUR FREE SCHOLARSHIP WEBINARS (Families have won iPads & Kindle Fires just for attending!) AND SEMINARS! Remember you will have to have or get a password to (1) access or SLI Scholarship Education Portal and to (2) view past webinars. I’m still looking to travel nationwide this Year for a Scholarship Tour. I’m also looking for people to help me find POCs to work with to ensure a successful visit. Cities I know for sure that I’m heading to this school year include (dates tentative). Last year I did live seminars and workshops in (1) Boston, (2) Hawaii, (3) Louisiana (4) Dallas, (5) Houston, (6) Albuquerque, (7) North Carolina, etc. This school year I plan to speak in (1) Detroit, (2) Seattle, (3) North Carolina, (4) Albuquerque, (5) Dallas, (6) Baton Rouge, (7) New Orleans, (8) Alabama, (9) California, etc. It’s another ambitious schedule, but I know we can make it happen together! I’m gonna need POCs, so if you are interested in helping me change lives in one of the cities above, just let me know! DON’T SEE YOUR CITY LISTED ABOVE? BOOK ME TO COME TO YOUR CITY OR YOUR HOME FOR AN EVENT! Simply ask me to visit your city by clicking here! A book I read says you have not, because you ask not…:-) I have done intimate Scholarship Launchpads in homes all over America with families and their friends. Bring me to your home too! Want a chance to win free prizes? 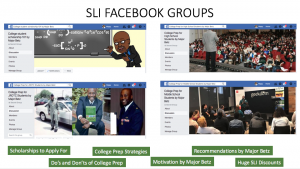 Stay tuned for our next FREE SLI SUMMER SCHOLARSHIP EXTRAVAGANZA Q&A Session by Major Betz – Invite others! Register for one of our events above today OR check out details on our product page so you can learn more about what students will learn at our Webinars/Seminars, Bootcamps, Academy, etc.!!! Wanna learn more about our Scholarship Bootcamps? 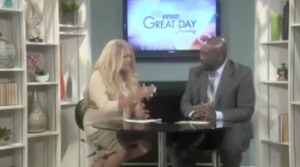 Click the video image below to check out the KENS 5 interview as we talk about prior workshop successes put on by Major Betz in past years! Then make plans to join us!